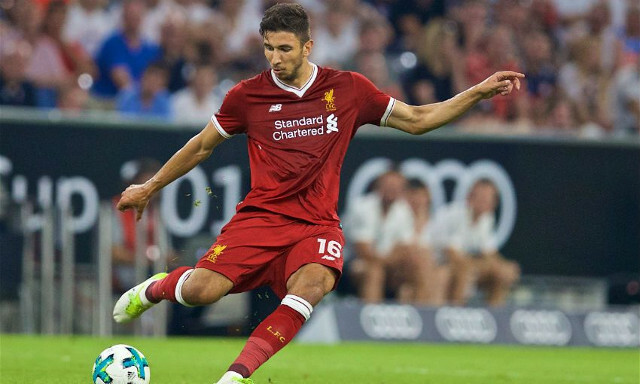 Marko Grujic has treated Reds to another glimpse of his array of expertise with another impressive pre-season display for Liverpool. The Serbian was part of Jurgen Klopp’s second half lineup on Wednesday night as the Reds came up against Atletico Madrid in the Audi Cup final, which they eventually lost on penalties. Grujic has caught the eye yet again during the club’s summer preparations, following up his standout performances last year. He proved to be a main positive in a slightly tired showing from the Reds, who had played and beaten Bayern Munich the night before. A familiar mix of power and aggression was accompanied by a similarly notable grace and attacking ambition, all of which have hinted at him moulding into a valuable box-to-box midfield asset since his arrival on Merseyside. The 21-year-old was back and forth, patrolling a deeper midfield role at times as well as making bursting runs into the final third, both with and without the ball. His tendency to get forward paid off late on in the game as he played a crucial role in helping the Reds draw level to send the game to penalties. A driving run into the right-hand channel saw Grujic pick up the ball, before drilling a low cross into the feet of Divock Origi, who proceeded to draw a foul and win his side a penalty- eventually converted by Roberto Firmino. As far as pre-seasons go, Grujic has done himself no harm and undoubtedly given Klopp another midfielder capable of making an impact next season- providing he can stay fit this time.